The batman obsession runs deep with my newest client. It was a good thing that I absolutely love drawing capes and superheroes. 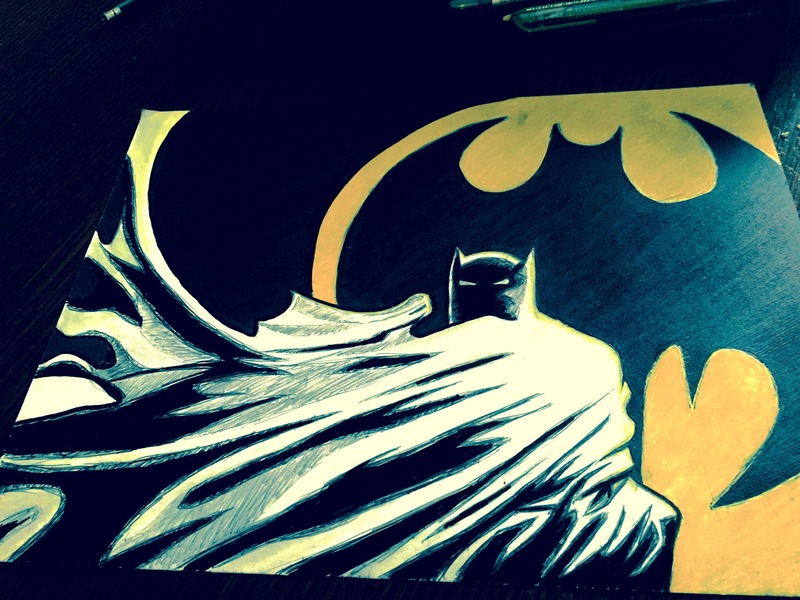 Illustrating the caped crusader was a perfect fit. If you would like your own commission, feel free to contact me! I’d love to work with you! There are times in life where you’re forced to see things from a new perspective. Some choose to bury their head in the sand and some choose to rise above it all. My daughter has chosen the ladder. She’s climbing up one rung at a time. After meeting her favorite artist, Sara Richard at comic con, My daughter was fueled with a newfound love for gel pens. I highly recommend checking her site out. You’re welcome! 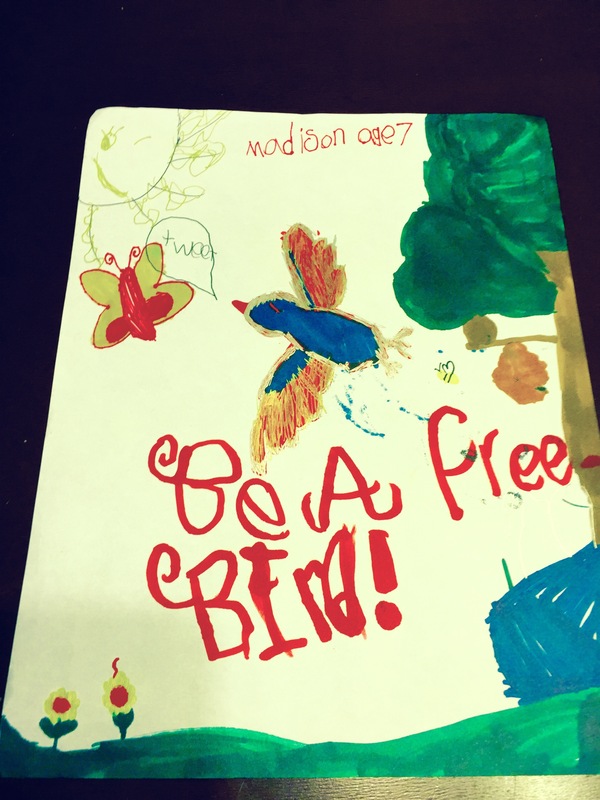 According to Maddy, her battle with cancer is like a bird being trapped in a cage. Right now she’s slowly working on unlocking it. As soon as she gets the door open, she plans on taking flight and rising above it all. The Altered Lines tag line of Dig Deeper was originally conceived from a perspective of introspection. I’m a tinkerer and I like to see how things work. Which requires pulling off the cover to see what’s going on inside. This is what matters to me… It’s the heart of things that matters. There ain’t no tin men in this family! We’re not hollow inside and we refuse to get rusted to the point where we can’t move. So grab your basket Dorothy cuz we’re gonna see where this yellow road takes us. And you know we’re gonna pull back the curtain when we get there.